Police erected Los Angeles DUI checkpoints around the city throughout Super Bowl weekend. Super Bowl Sunday is known for its high DUI rates, which are similar to the arrest rates for holidays such as St. Patrick’s Day, New Year’s Eve, and Valentine’s Day. According to a new article in Forbes, drivers can take advantage of two powerful tools to protect themselves and others on the road during what some authorities have been cheekily calling “drinking season,” the stretch of the year from December to March that includes some of the most dangerous holidays for DUI. BACtrack, a breathalyzer app that works with a smartphone, tracks data from users and lets law enforcement officials as well public safety and auto safety experts analyze these data to inform policy. BACtrack, for instance, helped quantify last year’s Super Bowl Sunday DUI issues by calculating that the average DUI driver had a BAC level of .091%. 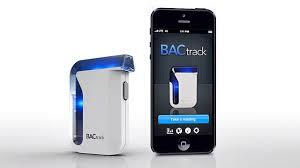 43% of BACtrack users report buying the product to avoid DUI. Drivers whose BAC levels are at or above the legal limit of .08% are responsible for 21% of deadly crashes, according to the National Highway Traffic Safety Administration. BACtrack identified December through March as the peak drinking season, when accidents are more likely to involve significant alcohol consumption. Together with ride share apps, like Uber, technological aids like BACtrack can potentially help drivers make more responsible decisions when going out. Thanks in part to highway patrol checkpoints and PSAs, awareness about DUI driving dangers has spread recently. Many cities in the Southland and beyond hosted extensive DUI checkpoints starting the Friday before Super Bowl Sunday. The Auto Club of Southern California also provided a “Tipsy Tow” service free for anyone who lived within a 7 mile radius of the pickup location. The wildly successful (and somewhat controversial) rideshare program Uber, meanwhile, claims that the company can help gimp DUI rates by simplifying and streamlining the “designated driver” concept. To Uber’s credit, statistics show that DUI related accidents have indeed been declining in cities where Uber offers its services.